Félix Rodríguez studied chemistry at the University of Oviedo where he worked in the research group of Professor Barluenga. After receiving his PhD, he moved to the University of Cambridge for a postdoctoral stay (2000-2002) as a Marie Curie fellow under the supervision of Professor Steven V. Ley. 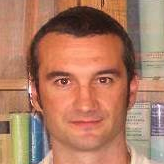 In 2003 he returned to the University of Oviedo with a Ramón y Cajal contract and since 2009 he is Associate Professor (Profesor Titular) in this university. His research interest is focused on the use of transition metal complexes in organic synthesis, the design of new catalytic processes and its application in the synthesis of natural products. Dr Rodríguez is co-author of more than 100 scientific articles.